What are those stickers and where do they go? Those stickers are for a game that works only on iDevices. 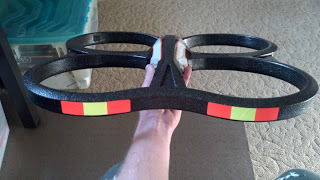 From what I gather, they’re simply markers that you stick on your indoor hull (the styrofoam thing with four rings), to basically ID your drone from the others. You then fly the multiple drones around in a sort of combat flight simulator fashion. The stickers are sent in rectangles. The indoor hull is NOT rectangular, but tilted just a little bit. Thus, when you try to stick these stickers on in the correct positions, they might crease or bubble. If you’re good enough at it, you can trim the stickers with scissors to get them to the right shape so this doesn’t happen, but if you stick them on without trimming, it’s easy enough to just press the creases flat enough so they’re not noticeable. 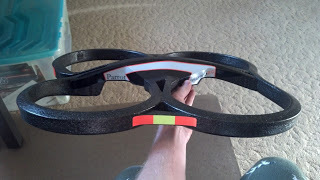 What’s that little piece of black tape on the bottom of the main body? I risked it and looked underneath. There’s actually a small IDE connector under there. I assume it’s for “advanced” servicing, probably by Parrot technicians that have a special custom piece of test equipment just for that interface. You could probably see it better if you were to start replacing interface boards and such. It’s best to leave the tape on, so dirt and grime doesn’t get into the main body. JUST the transparent plastic film has to be removed. How do I know the battery is charging or charged? All battery chargers are different. My old NiMH charger LED turns green when charging and off when finished. The AR.Drone charger turns red when charging and green when finished. The battery is probably going to be discharged when it arrives in the mail. Mine was. I couldn’t just fly it straight out of the box. But that wasn’t a big deal anyway. Just an hour or so of charging. Best way to put the battery in the holder? You’re still using that stupid stock battery? Yeah. And it’s sad. It only lasts all of four minutes. The battery is FINE with voltage. All cells seem to be good, even though the thing charges in about 40 minutes and discharges in 4. I mean, without a load, I read around 12.3VDC on the output connector and a number of various voltages acrossall the input charging pins. 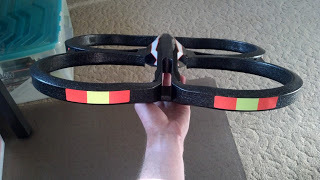 However, I DID updgrade to 2.1.20 right off the bat, which I read on the forums afterward is a bad firmware version, mostly due to “drifting” when the drone is hovering without any additional commands. 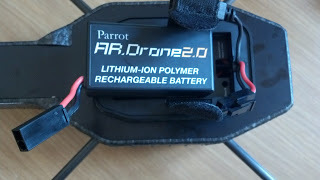 I downgraded back to 2.1.16 using the tutorial I found on the ardrone-flyers forum and hope to try flying again this morning to see if it also at least partially fixed the battery problem. Yes, I plan to find a better battery soon. Can I ask another question that aren’t listed in any regular FAQs? Heck, sure! I’ll try to answer them, or at least point somewhere where I find the answer. Just ask in the comments. I don’t care, but what are your profile pages on those forums at? Don’t go thinking I’m an expert. I’m totally not. Yet. I just got this thing, this is my first flying machine, and I’m learning as I go, taking into account all the safety notes and important read-before-you-fly articles, like, seriously practice with the indoor hull before taking it off. 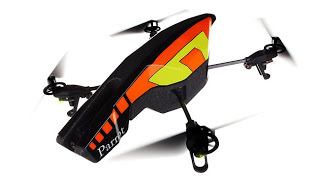 This thing is NOT as robust as Parrot claims and building a fully-operational drone from just replacement parts actually costs $150 more than if you were to simply purchase a new one. So replacement parts are NOT a good deal, unless you find some great listing on eBay. What’s all this jazz about “lipo?” Does everybody who buys these things have some sort of obesity problem that requires surgery? No. 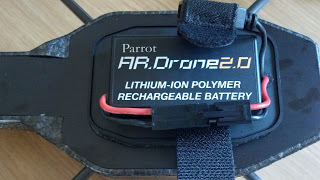 LiPo stands for Lithium Polymer. They’re just turning the acronym “LiPo” into yet another buzz phrase, like “lol” (pronounced “lol”), and “email” (which originally stood for “electronic mail”). What’s the difference between a geek, a nerd and a dork? Geeks know they’re geeks. And they’re proud of it. And they work more on their image of geekery than they do on actually doing useful geekish things. 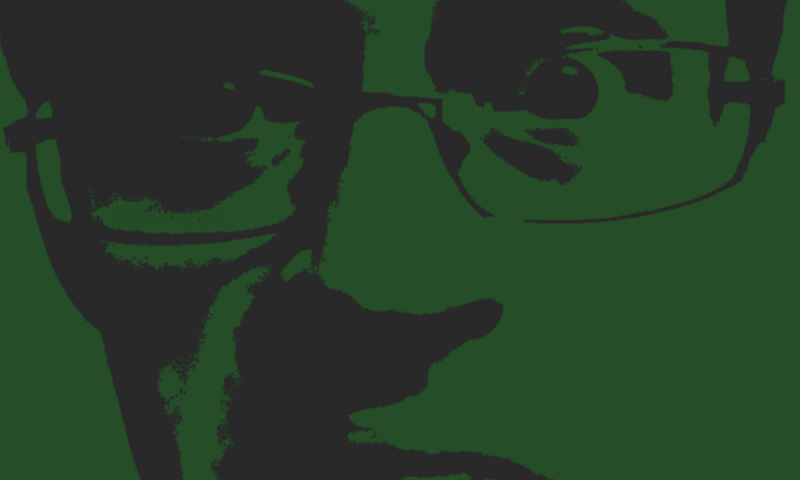 Nerds are similar to geeks, but don’t actually know it, or don’t care. They just care about knowing the right answer to a problem or question or dilemma. You probably think you’re a nerd then, huh?